Anyway, the pattern launches today and I cannot endorse it enough. The instructions are very clear and the photos lead you right along. 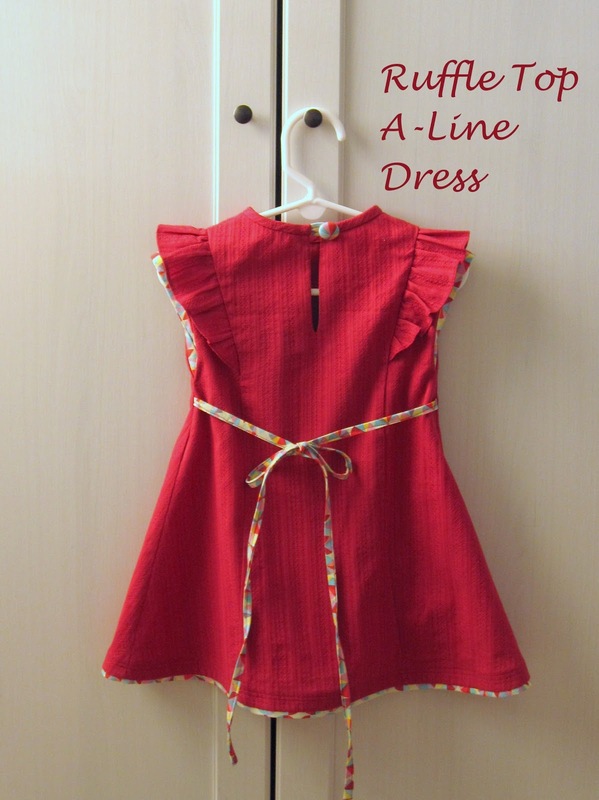 I was asked to make the A-line dress version of the pattern in 18M for Bean. 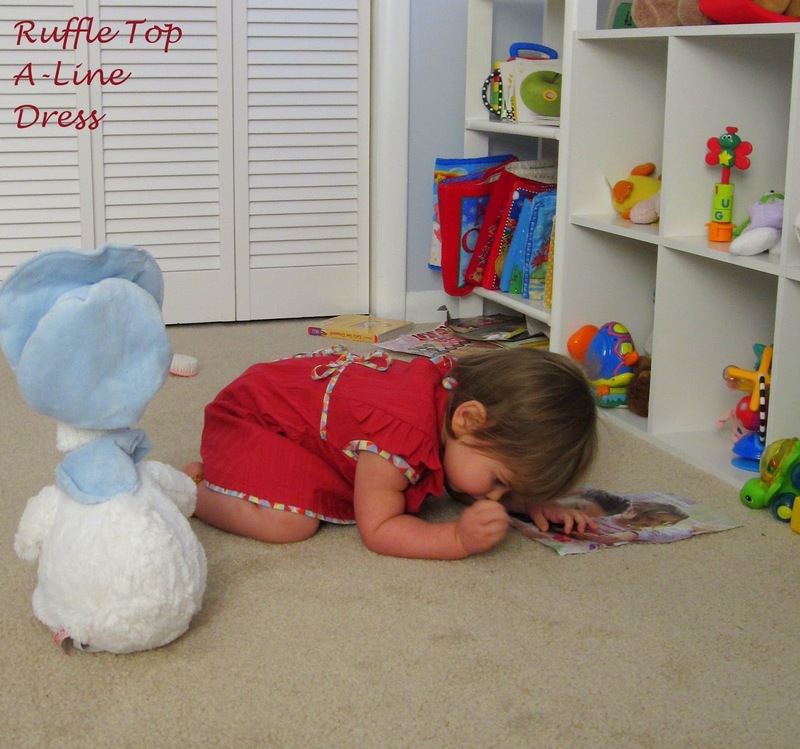 She is right on the cusp of 2T, but that is mostly in legs and arms (and her cloth diapered booty) so 18M worked out just perfectly for this pattern. 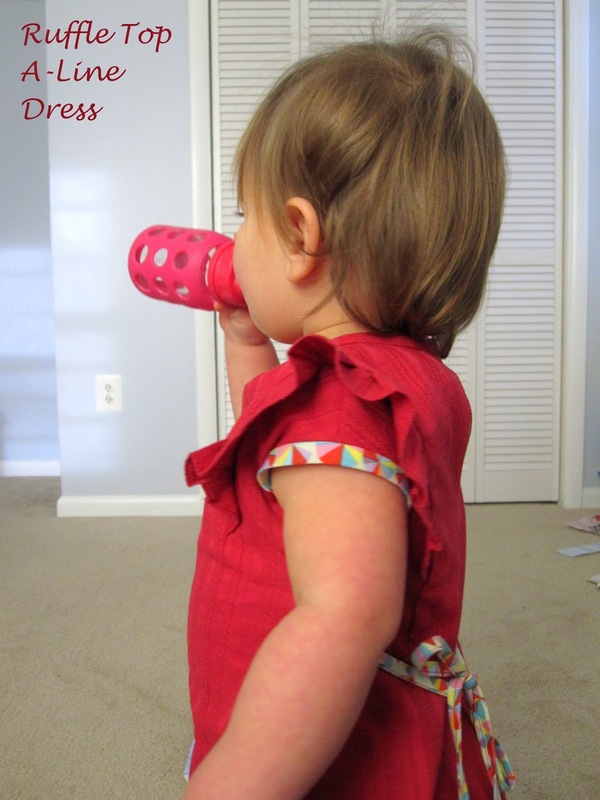 Heidi gives you two options for sewing the sleeve openings. I chose the bias tape method and decided to use the contrast fabric from the keyhole opening and the back ties. I’m so happy I did because it gives a fun pop from the front view. Since I was a bit concerned that the length would be too short (turns out it would have been just fine) I opted to add a hem facing that peeks out just slightly bringing the length back to the full length of the pattern piece. I used that same contrast fabric and really, it might be my favorite detail. I also couldn’t miss an opportunity for a fabric covered button, hehe. Bean is writing in her catalogues with a pine needle she found on the ground. This is something she does all the time, hehe. 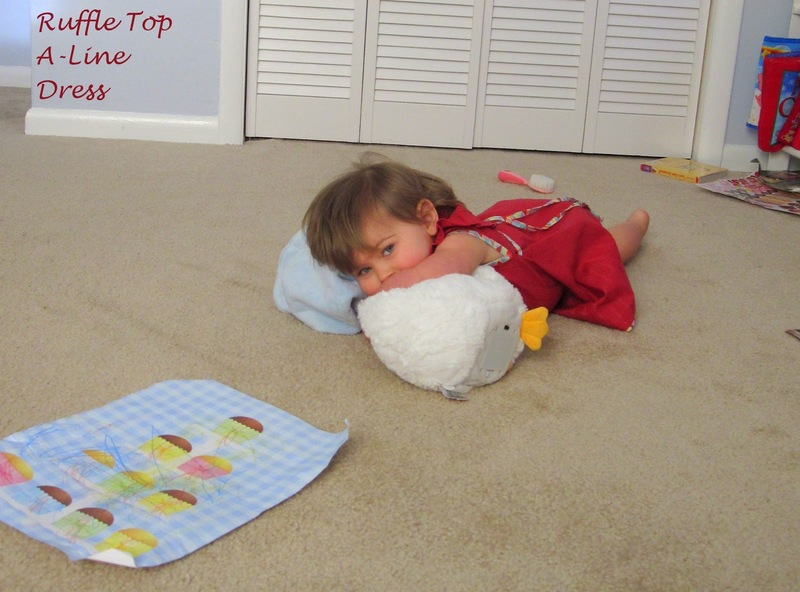 And one of her snuggling with her Mother Goose. 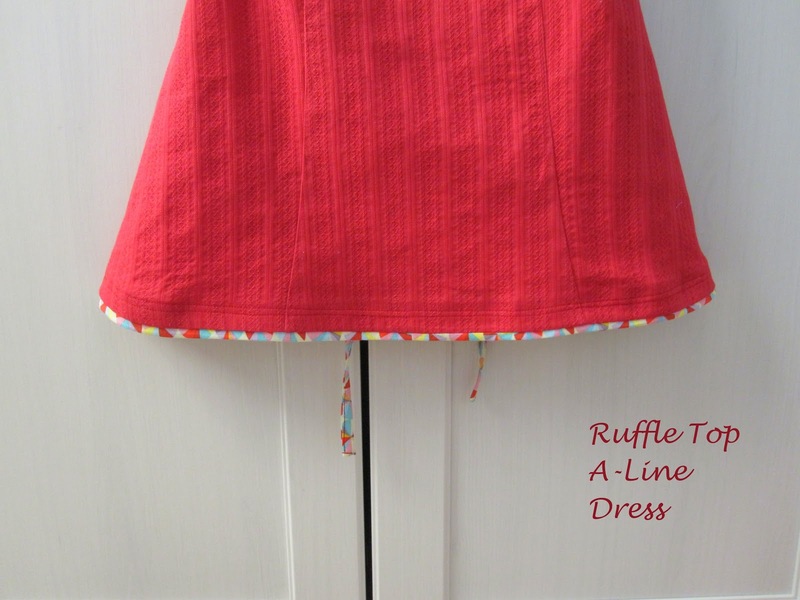 Congratulations to Heidi for releasing a terrific first pattern. Hopefully many more to come! Thank you so much, Ajaire! 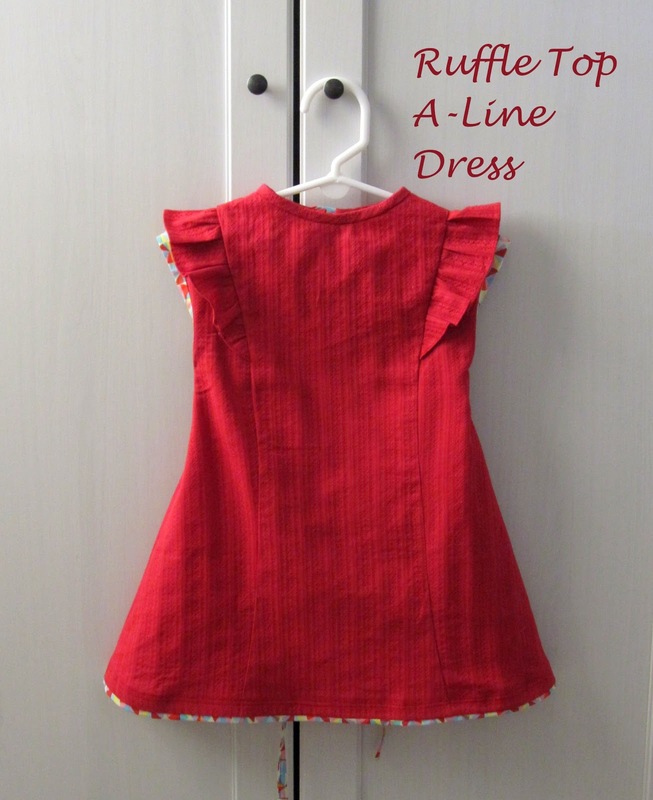 I have to try one with the contrasting bias tape like yours…really love how yours turned out! Really enjoy your fabric choices. And yes Heidi pattern those shorts! 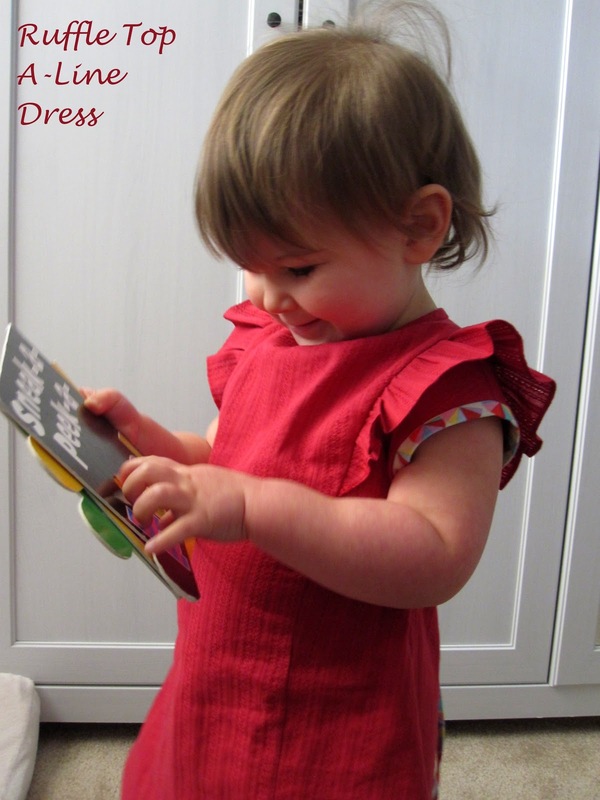 Ahhhhh… what a sweet dress! I love your choice of binding! Hopping over form Sew Much Ado linky party. Oh this is gorgeous in red! Love it! This is so cute!! Thanks so much for sharing. I'm hosting a giveaway over at my blog so feel free to check it out and enter! 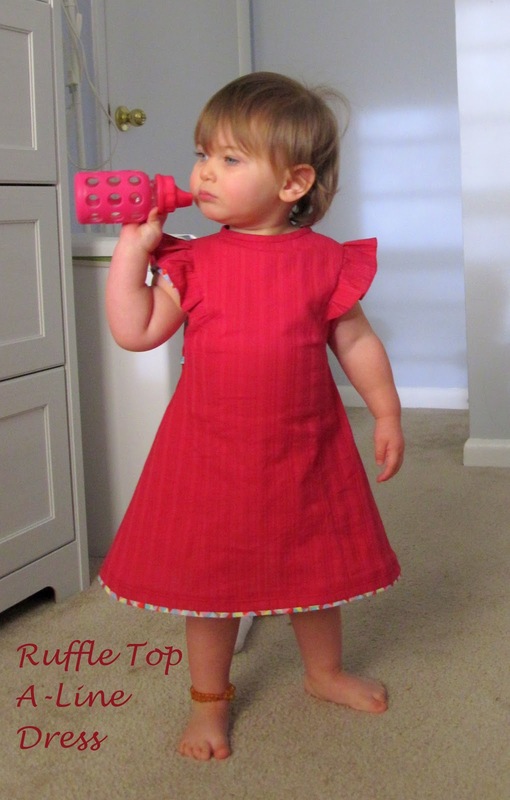 i have a hard time using other people's patterns since my daughter is tall and skinny…was this one easy to adapt?